Thrust Bearings add low-friction face to collars. 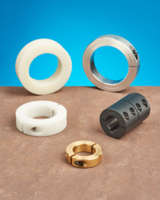 Bearings, featuring nylon ball retainers, are made of steel or stainless steel to provide shaft collars with low-friction face for rotary applications. Suited for high-load, low-speed applications, bearings are used to locate idler pulleys, gears, lever arms, and other rotating components. 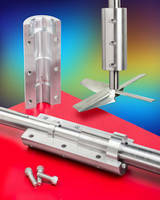 Bearings enable axial positioning of components and come in 18 bore sizes from 1/8 to 1Â½ in. ID. 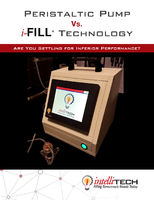 PTFE thrust washers are optional. 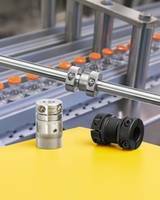 A new line of thrust bearings with nylon ball retainers that provide shaft collars with a durable, low-friction face for rotary applications is being introduced by Stafford Manufacturing Corp. of Wilmington, Massachusetts. Stafford Thrust Bearings with nylon ball retainers are available in steel and stainless steel to provide shaft collars with a durable, low-friction face for rotary applications. 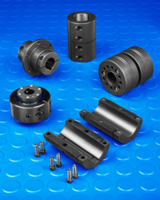 Ideally suited for the axial positioning of components, they come in 18 bore sizes from 1/8" to 1-1/2" I.D. 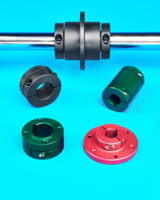 Designed for high load, low speed applications, Stafford Thrust Bearings with nylon ball retainers are typically used to locate idler pulleys, gears, lever arms, and other rotating components where low friction is required. 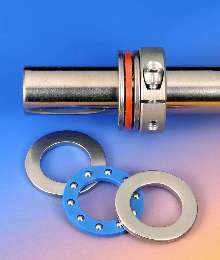 PTFE thrust washers are also offered. 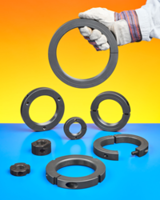 Stafford Thrust Bearings with nylon ball retainers are priced according to material, size, and quantity.